Urth, the world that Dragon Crest is set in, is so huge and complex that we could not possibly describe it to you here. We are, in fact, writing a series of epic fantasy novels set on Urth, and even they cannot begin to encompass the entirety of this universe. The Wiki, found elsewhere on this site, is a great resource for getting a broad overview of Urth, its history, its geography, and important people and groups who inhabit it. 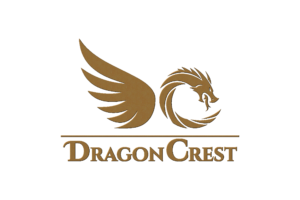 Various other tools here–the chat forum, free short stories, posts on the tavern walls, and of course, other characters, are all great resources for expanding your knowledge of the world and for finding opportunities to dive into the world of Dragon Crest yourself. That said, here’s a very brief overview of Urth to give you a general feel for the world. Author’s note: Although I am but an amateur historian of little note and entirely lacking in credentials, and cannot entirely verify many of the particulars contained herein, and whose prose can only be described as tiresome, I shall nonetheless endeavor to summarize in as few words as possible what is regarded hereabouts to be the history of the world. It all begins with Koth—The Eternal Empire of Koth that is—which is ruled by His Resplendent Majesty, Maximillian the 3rd, Emperor of Koth. The Empire has always ruled Urth, and the Kothites have always ruled the Empire. Maximillian’s daughter, Endellian is the High Princess and heir to the Kothite Empire. Here in Haelos, the second governor of our little colony of Dupree, Anton Constantine, has recently been deposed. Lady Syreena Wingblade, an ovarian, former Imperial Army officer, and noble, is the interim governess of Dupree. Usually, the many landsgraves answer to Governess Wingblade directly. As local nobles, the landsgraves manage their holdings and people and are granted high justice within their lands. There are five major continents on Urth: Koth, Haelos, Kentogen, Pan Orda, and Mindor, though some scholars feel that the polar seas should be counted as both the Sea of Crystal and the Sea of Glass maintain sizable populations year round. Kentogen is mostly the home of animal changelings of various kinds. it is also notable as the home of The Dominion, a changeling horde who have violent designs on conquering the civilized lands of Urth. Pan Orda is mostly inhabited by elemental creatures, and Mindor is the home of the paxan and wandrakin. My paltry knowledge, however, mostly centers upon Koth and Haelos, which are inhabited by many kinds of humanoid races. The Abysmal Sea separates Koth and Haelos, and is fully as forbidding as its name suggests. It takes one month to sail from Haelos to Koth by black ship, but three full months to sail from Koth to Haelos. Only the Imperial Navy’s mighty black ships can safely navigate the Abysmal Sea. Lesser ships take over six months to complete the journey around the Barrier Arc. The Kothites rule their empire from the Imperial Seat on the continent of Koth. They conquered a portion of Pan Orda a while back, but that is a restless place in the best of times. They attempted to conquer Mindor but have yet to complete subduing that troubled continent. Rumors abound that one day they will go back with a much larger force. Kentogen remains mostly in the claws of its changeling people, though Koth still maintains influence there, a remnant of their allies in the Dominion of Pantera. Only the northeast corner of Haelos has been explored and settled by Koth. The interior of the continent is completely unknown. The coastlines have been mapped, however, thus I can say with authority that Haelos is a sprawling place on a scale with Koth itself. The southeast corner of Haelos is ruled by Aethrys, an Annex of Pan Orda. Hostilities between the Empire and the Constellation of Orda are ancient and bloody. Koth maintains control of the Ordan Realm of Arcan since the invasion lead by General Dekken Tarses a few centuries ago. Despite this, there is a treaty between Dupree and Aethrys known as the Ruslani Accords maintaining a tenuous peace between the powers. Dupree, often referred to as Dupree Proper is the capital city of of the Imperial colony in Haelos, and that is also (confusingly) the name of the colony itself. It is located on the northeast coast of Acadia. Not far from Dupree one encounters the Gulf of Estarra, a great northwesterly slash into the edge of Haelos some three hundred miles across and at least three times that long. twenty four landholds mark the last edge of civilization. The Imperial Guilds are fully represented here in Haelos. They are the Mage’s Guild, Merchant’s Guild, Miner’s Guild, Forrester’s Guild, and Entertainer’s Guild, Assassin’s Guild, and Slaver’s Guild. And then there is the House of the Healing Heart. It is the guild of healing and resurrection. The Emperor has charged the Heart with healing anyone who needs help regardless of ability to pay. And, of course, they will help anyone to pass through a Heartstone and resurrect. Heartstones are rare and carefully protected by the Knights of the Royal Order of the Sun, who defend the Heart. Haelos is thickly populated with native creatures, some of which can be quite deadly. They range from wild animals to greenskin hordes, mysterious Fae to unbound elementals, and even stronger, more violent creatures than that. If one would travel abroad, one would be exceedingly wise to hire a brace of brawny and well-armed guards. The Haelan Legion defends the colony to the best of its ability, but nonetheless, this remains a dangerous place. The majority of inhabitants of Haelos are human. However, every other known humanoid race is also represented here. Adventurers in general are more heavily represented by non-humans, perhaps because the special abilities of non-humans are helpful in the endeavors of explorers and adventurers. Many of the non-human races are very long-lived, which can be a source of friction with the human population of Haelos. Of course, elves and dwarves tend to annoy one another naturally, as do lizardmen and merr, and elementals of opposing alignments. It goes without saying that everyone annoys hidesmyn and hidesmyn annoy everyone—no matter what flavor of hidesmyn they happen to be. Magical creatures are also richly represented in Haelos. One should not be overly surprised to encounter a creature from another plane entirely. Creatures who step out of trees, beings who invade your dreams, or mythical beasts from the hearth tales of your childhood are not unknown in this place. Why, some even say the land itself is alive. All in all, Haelos is a vibrant and exciting young colony with unlimited potential for growth and development…assuming the Imperial colony can survive and thrive in the face of the dangers this untamed land presents. Dear traveler, should you have any further questions for me about Haelos, I may be found upon occasion taking a libation in the Hael Fellow Tavern. By all means, introduce yourself to me and feel free to ask your questions. Perhaps I shall have some small amount of information to share with you.